Every morning, if you walk down the streets of Olongapo City, you will see children sleeping on sidewalks, in public parks, and even at the doorsteps of night clubs that abound in the area. During daytime, many of these children either beg for food or eke out a living by selling flowers or chewing gums to American servicemen of the former Subic Naval Base. In 1976, the Philippine Faith Mission, Inc., began its ministry among the street children and market vendors to minister to them physically, materially, and above all spiritually. The first Bible Study group soon became organized into Olongapo City Gospel Chapel. During this ministry, the Mission felt the need to provide these street children with the security of a permanent home, where they could continue to receive spiritual and physical aid. After much prayer, the Lord led the Board and staff of the Philippine Faith Mission, Inc. to a house that could be rented for this purpose. 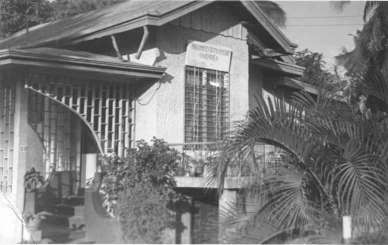 On November 30, 1979, a home for children was established at Castillejos, Zambales, 20 kilometers north of Olongapo City. The first child to be taken in was Roberto Gloria. Eleven more joined him a little later. 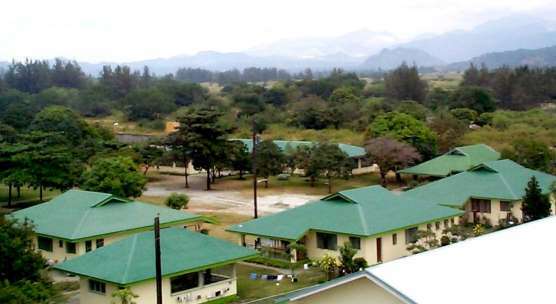 The home was called “ Jireh Children’s Home,” from Jehovah Jireh which means ‘God will provide.’ The Department of Social Welfare and Development, then called the MSSD, issued a license to Jireh Children’s Home on April 15, 1980. A certificate of accreditation #039 was also issued to the same as a child-caring institution. But soon, we encountered problems especially during the rainy season. The boys had to draw out water from their room in order to keep their bunk beds dry. The dirty water brought infectious diseases to the children. We, therefore decided to move out of the place and buy a piece of land on which a permanent building for the home could be built. However, there was no money on hand. All we could do then was to pray and trust God for His provisions. After we had spent three months of fervent prayer, God honored our faith. The Ship Repair Facilities Officers Wives Club donated six thousand dollars ($6,000 or P48,000) for the purchase of the land. On October 14. 1980, the title of a beautiful plain and arable land was transferred to Philippine Faith Mission, Inc.. The land is situated in a quiet valley surrounded by mountains and located at Barrio Magsaysay, Castillejos, Zambales. Mr. Peter Ford, a professional engineer and missionary with Christian Missions in the Philippines, worked on the blueprint of the building. Volunteer workers and some of the children made 7,000 hollow blocks . 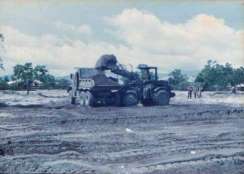 In July 1981, the Construction Battalion Mobile Unit (CBMU 302) Seabees of the U.S. Navy, under the command of Lt. Douglas Ault, began constructing the first building with the help of Filipino carpenters and masons. In April 17, 1982, the children transferred to their new home. The Home then was without doors, windows, ceiling, and electricity. Cooking had to be done outside as the kitchen was still under construction. In the summer of 1983, the Timothy Team from Faith Academy painted the exterior walls of the building. The PFM saw that it needed a local church which would be near the Jireh Children's Home and that it would also minister to the surrounding village. And so the Castillejos Christian Church was born. On November 30, 1990, Jireh Children’s Home celebrated its 11th anniversary. The highlight of the celebration was the ground-breaking ceremony for the new girls dormitory. A few weeks later, the Lord provided funds for buying more materials for the project. The Mobile Missions Maintenance of Australia sent Mr. Norman and Mrs. Marge Fooks and Mr. Erne Pene who helped us construct the building. On May 2, 1992, the new girls dorm was opened and dedicated to our God. 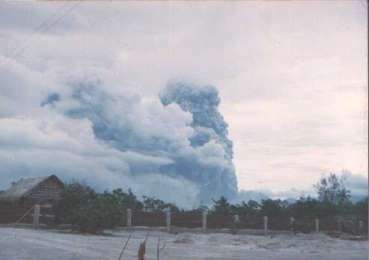 On June 12, 1991, the Mount Pinatubo Volcano which is located 25 kilometers away from the Jireh Children’s Home erupted, inflicting major damages on the Home. One week after the eruption, the 3rd Combat Marine Battalion of the U.S. Marines from Okinawa, Japan arrived with heavy equipment to remove about 540 truckloads of ash! They also repaired and reconstructed the damaged buildings. Indeed, our God is Jehovah Jireh! On October 7, 1993, the Home experienced a big flood caused by the damaged dike at the nearby Sto. Tomas river. The Rescue Team from the Subic Bay Metropolitan Authority evacuated the Jireh Home children by boat. The water destroyed a portion of the Home’s property. Relocation was considered at first but under God’s guidance, we instead made plans for the construction of a wall and a bridge. On January 17, 1994, some friends from NICE office, an organization of University students from Tokyo, Japan, sent volunteers to help build the wall. We are very grateful to God for providing volunteers to complete this project. This was only the beginning of the workcamps. Since 1994, NICE and ACTION (Japan) have constructed the fishpond, piggery, workshop and basketball court. They have also done vital maintenance work on the other buildings. In 1997, the construction of cottages started with the joint efforts of ACTION (Japan), several churches from England and other friends from Switzerland. The shift from dormitory to cottage type aims to allow the children to grow in a family-like environment where they can cook, learn how to budget, and do their chores in their own house. In 1997, the Northchurch Baptist Church of England donated funding for the purchase of 3.2 hectares of land and a tractor to use on it. This land presently supplies all the rice the Home needs. An added goal of the Home now is to become self-sufficient. In line with this, the Northchurch Baptist Church, in May 2003, funded the purchase of a poultry lot and a birdcage which accommodates 7,500 chicken, a contract-growing business with the San Miguel Food, Inc. on November 2003. To extend our ministry to the children in the neighborhood, the Board of Trustees of the PFM, Inc. agreed to put up a Christian school. This year, our good Lord provided for the construction of the building through ACTION, Japan. Year 2004, Jireh Home won the prestigious Marci Award for Excellence in Child Care. The award was given by Viva Network of Oxford, England, an international association of organizations that minister to children’s needs. Joel and Rechel Alviar received the award at Asia Cutting Edge Conference in Kuala Lumpur, Malaysia last February 2004. The facilities we are now enjoying are testimonies of God’s faithfulness. He is indeed Jehovah Jireh! © 2011 Philippine Faith Mission, Inc.